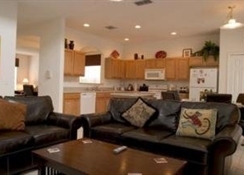 Providing a home away from home, Terra Verde offers spacious and comfortable holiday homes within a gated community in Kissimmee which is located just to the south of Orlando, Florida. These holiday homes have three, four, five, six, and seven bedroom options that can sleep up to 14 people. Located close to all the main theme parks, this is also a great place to stay if you’re a golfer, as there are a range of great courses in the area. It’s recommended that you have a rental car for your stay here and the homes come with a fully equipped kitchen, pool and everything you need to enjoy a comfortable stay. 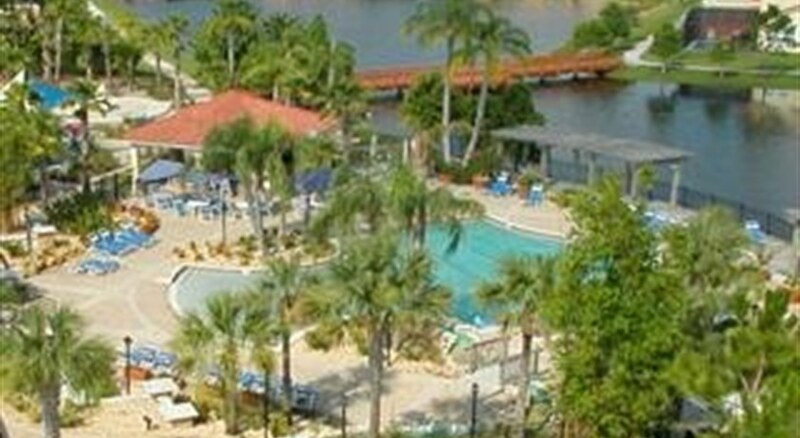 Terra Verde is suited to couples, families with children and larger groups who want to visit Orlando. 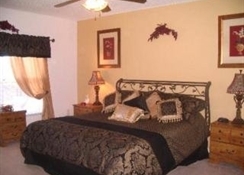 Terra Verde is located in Kissimmee and is close to the main attractions. Walt Disney World, Disney Springs, Disney’s Animal Kingdom and Epcot are all within 10 miles of the holiday homes and you can also get to SeaWorld (7.9 miles) and Universal Studios (14 miles) easily. Golfers can get in 18 holes at Celebration Golf Course and Falcon’s Fire Golf Course which are close by and the Orlando International Airport is 13.8 miles away. There are three, four, five, six and seven bedroom villas available at Terra Verde. Each holiday home has its own unique design but come with Wi-Fi, a pool and there is also access to a sauna, massages and there is also bar beside a quaint fishing lake. 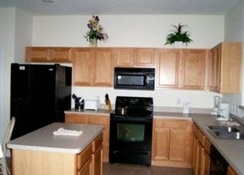 The holiday homes at Terra Verde have fully-equipped kitchens where guests can prepare their own daily meals. There are restaurants in the nearby area if you choose to eat out, too. Terra Verde has a heated swimming pool, hot tub as well as facilities for basketball, volleyball, tennis courts, mini-golf and there is a game room too. Kids can avail of the play area and golfers can choose between several courses that are within a short drive of this gated community. Shoppers will also be able to head to Lake Buena Vista Factory Stores which is 5 miles away and a bit further afield is the Florida Mall which is 20 miles away. Resort size heated swimming pool with water feature. Large deck area with ample loungers, chairs and umbrellas. Tiki Bar serving cool drinks by the pool! Children's play area with swings, climbing rock and slides. Business Center and clubhouse offer free wireless internet. Video Arcade and games room.